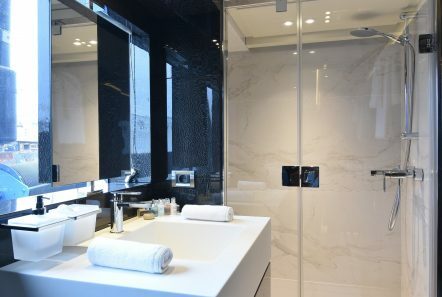 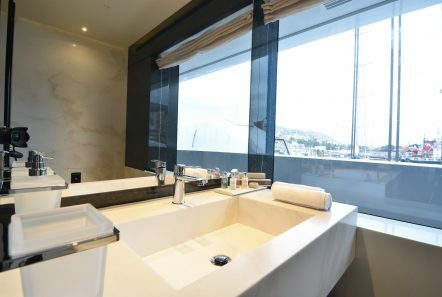 An exquisite custom rebuilt yacht with a stunning Master suite on the upper deck featuring a private Jacuzzi and view fore. 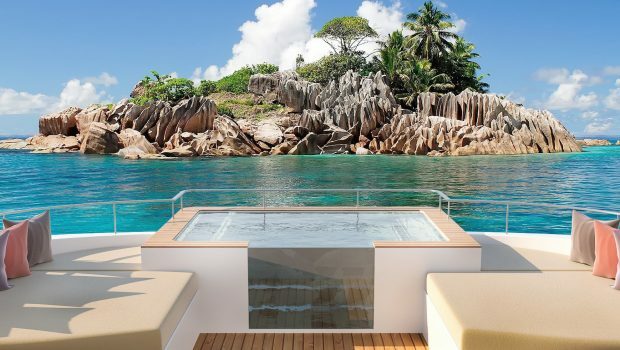 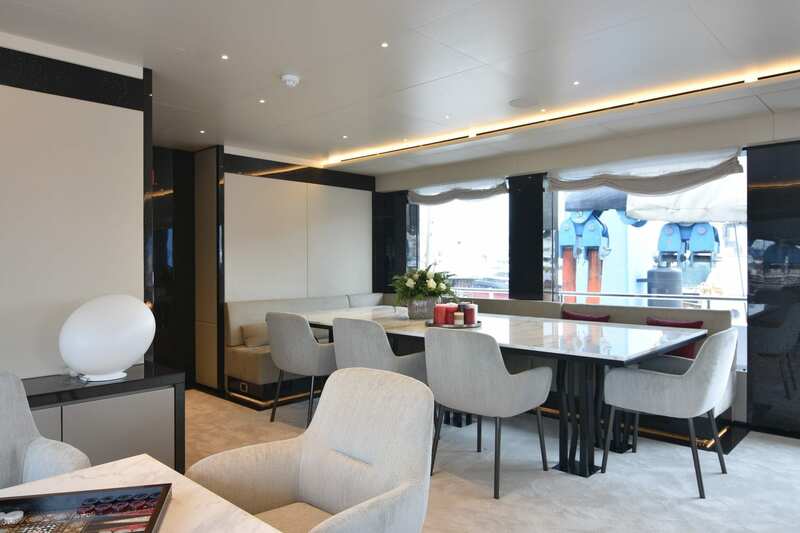 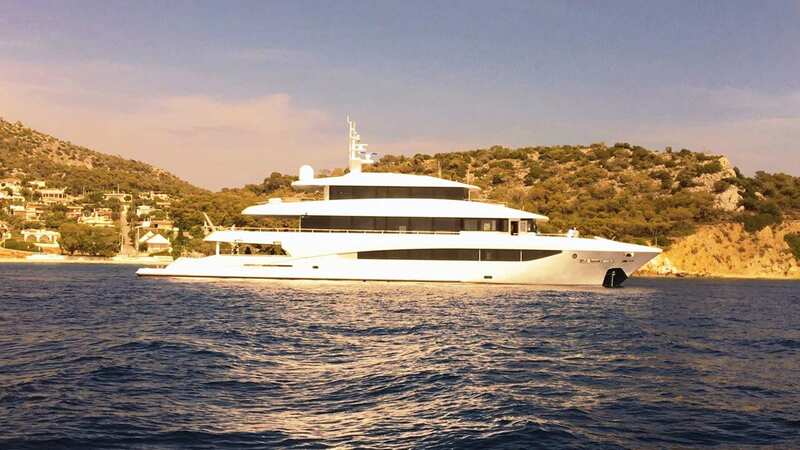 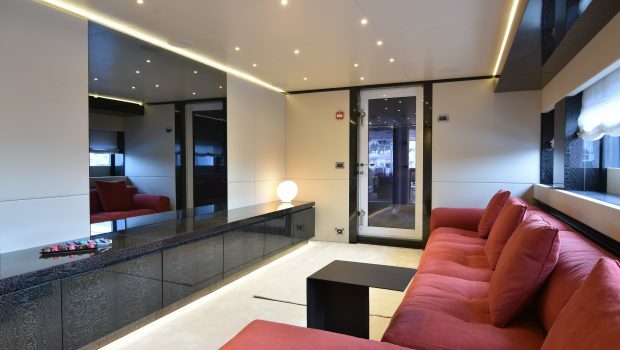 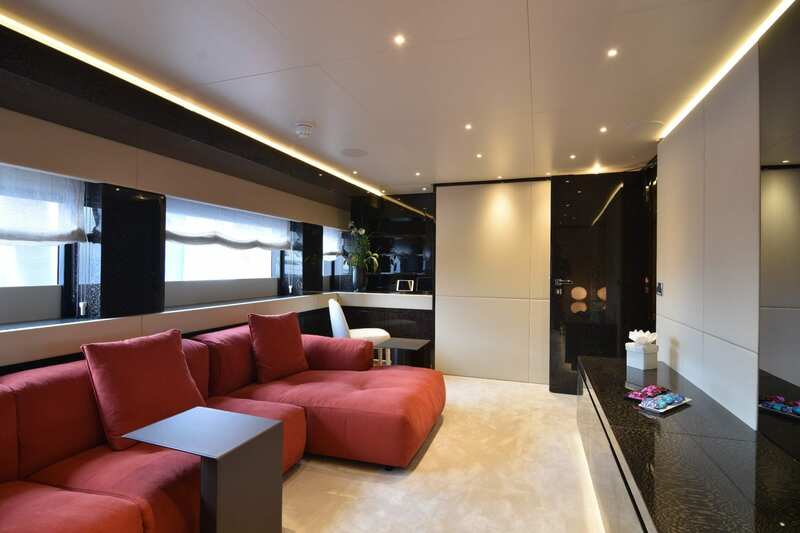 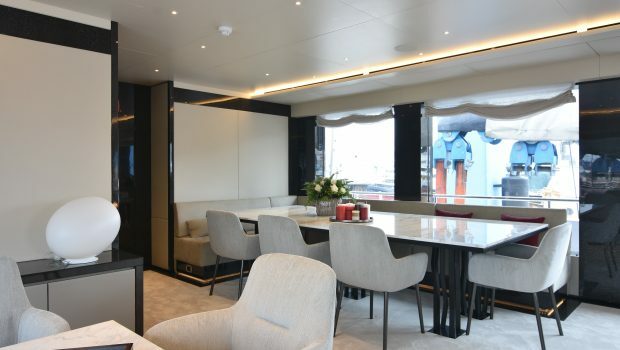 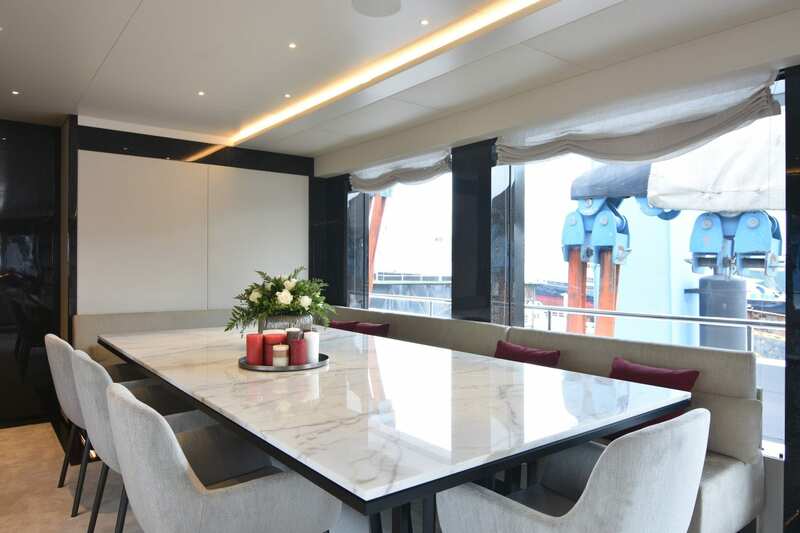 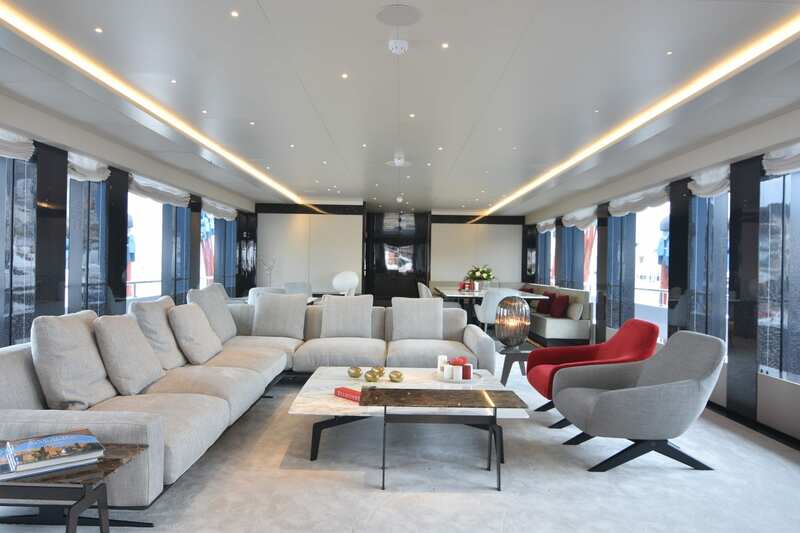 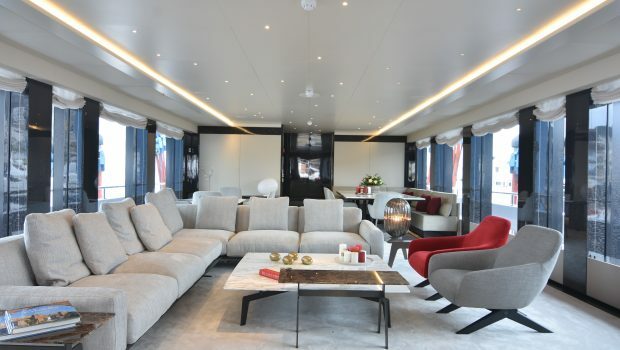 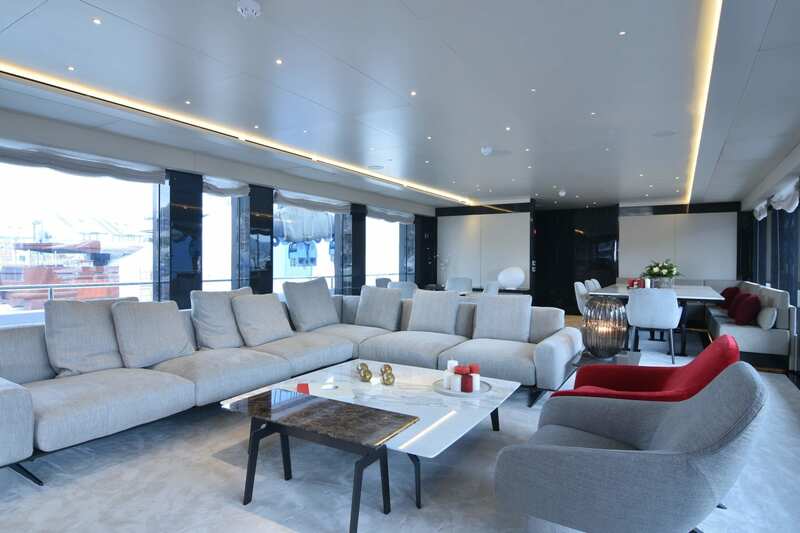 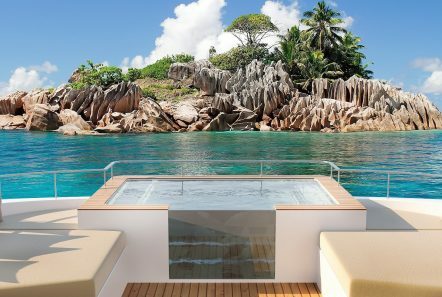 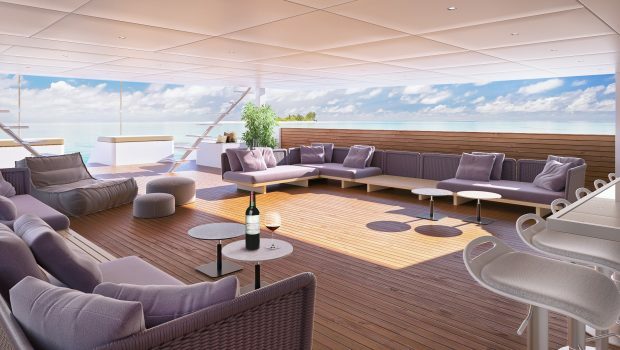 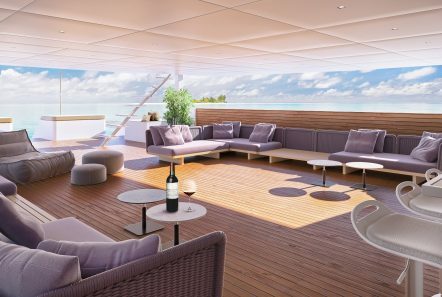 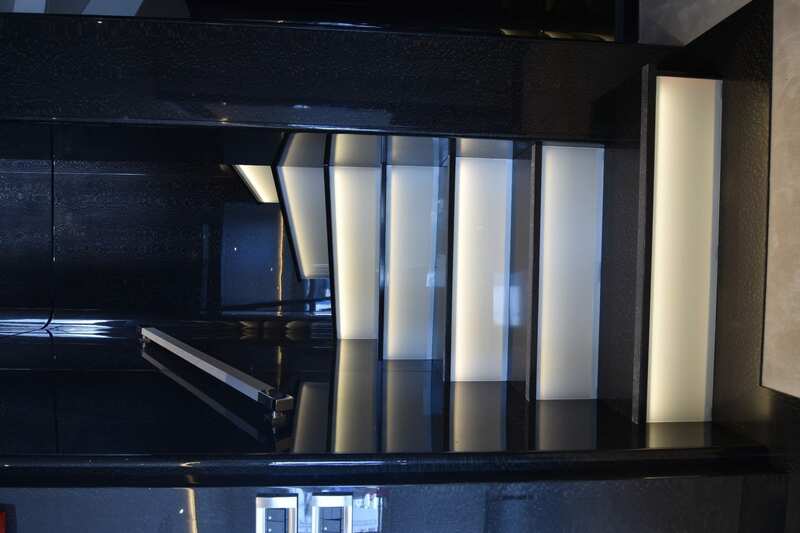 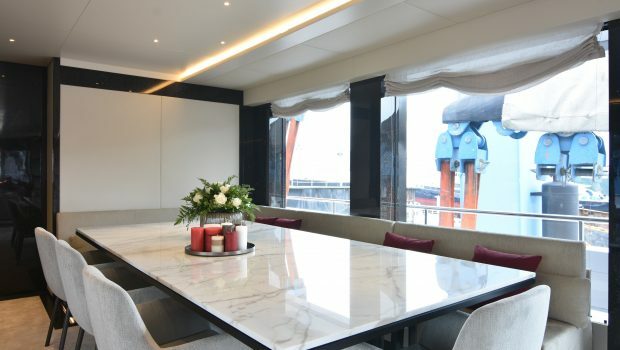 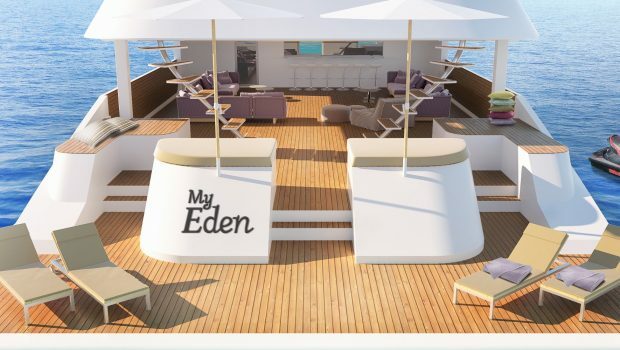 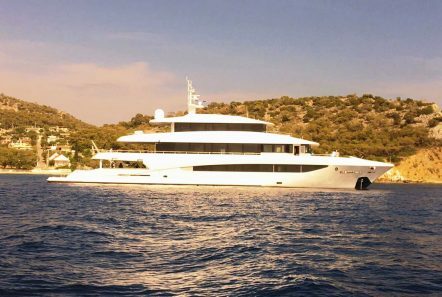 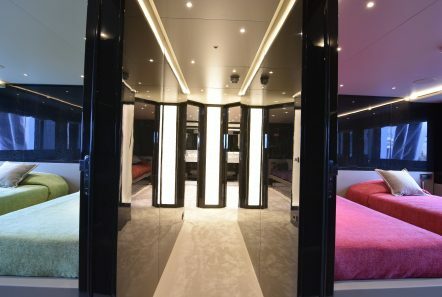 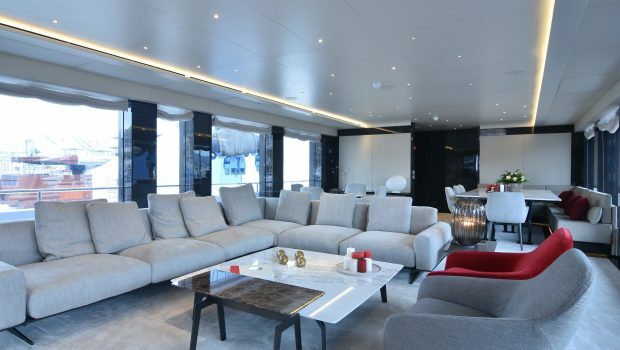 The entry for this yacht is on the lower deck at the Swim platform lounge.This platform has all the amenities for an elaborate day and night enjoying by the sea – from bar to TV to sumptuous seating. 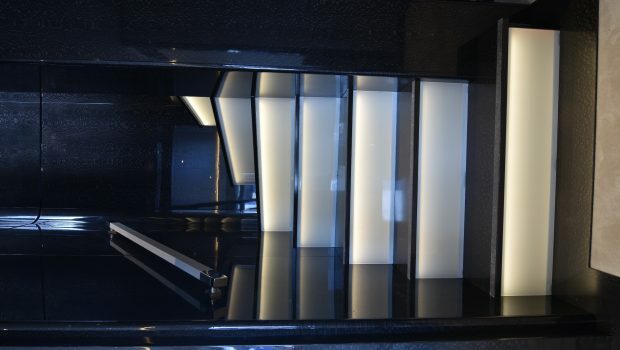 The entrance office lounge leads to teh stairs to the Upper deck where you can find the interior dining table and salon. 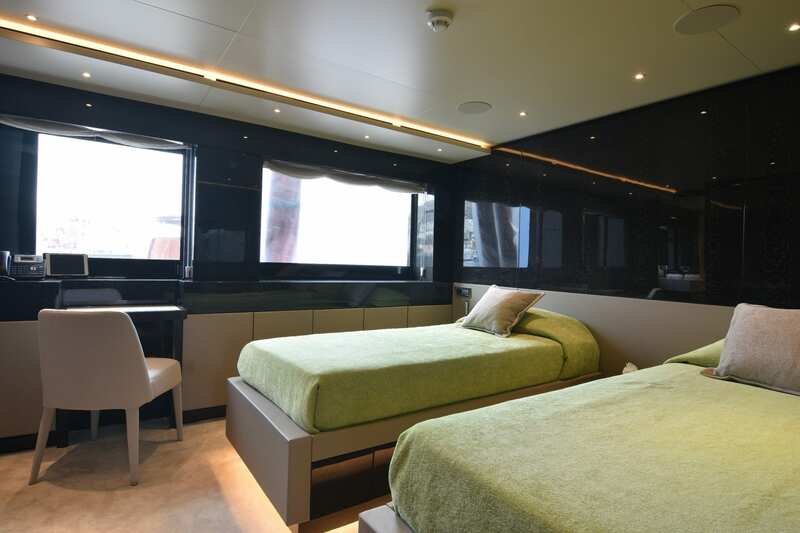 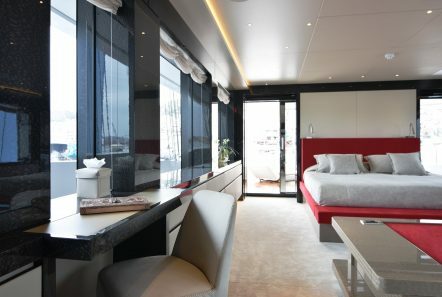 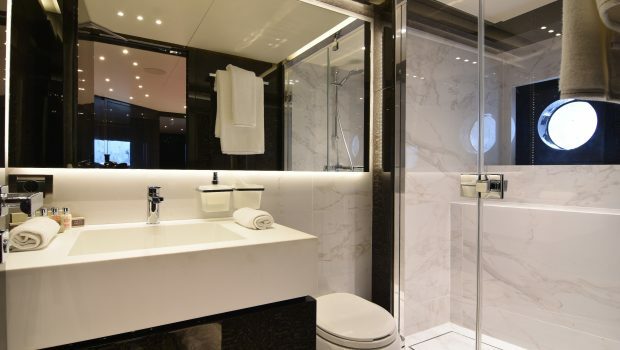 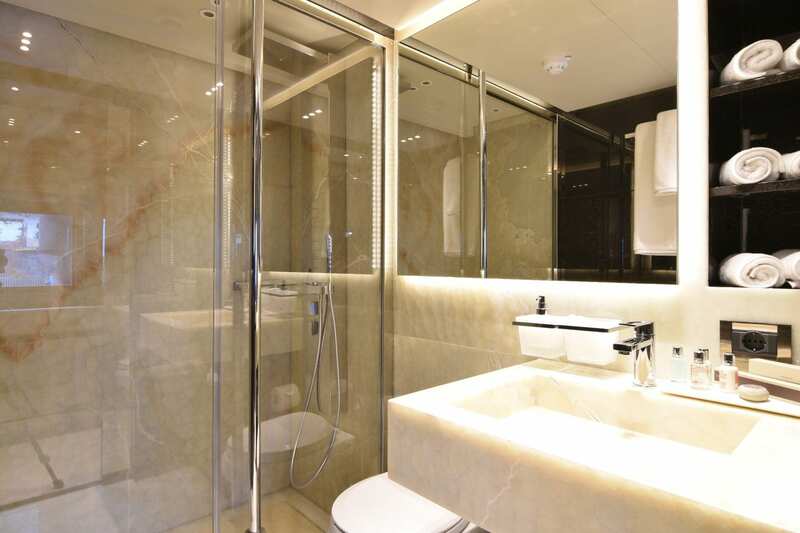 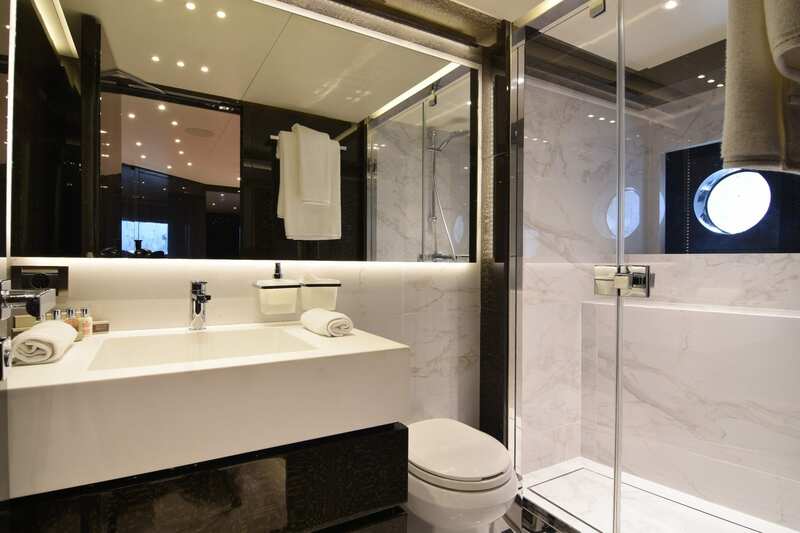 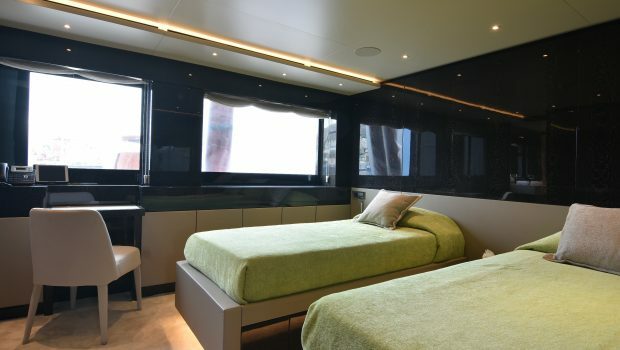 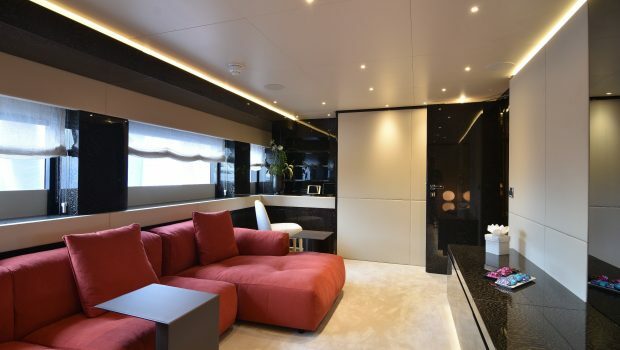 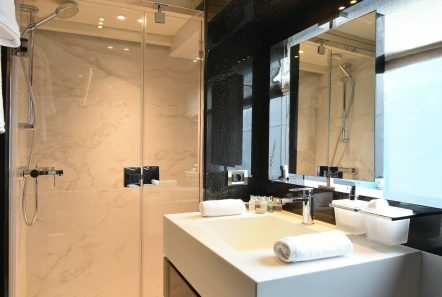 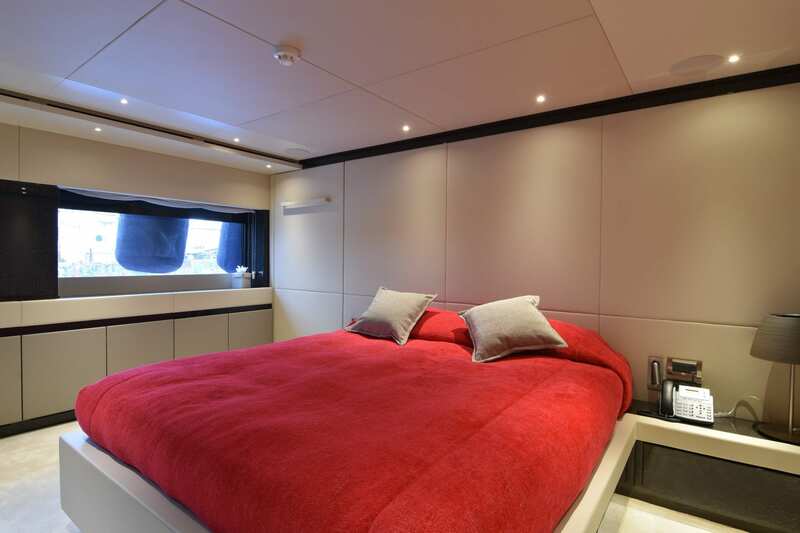 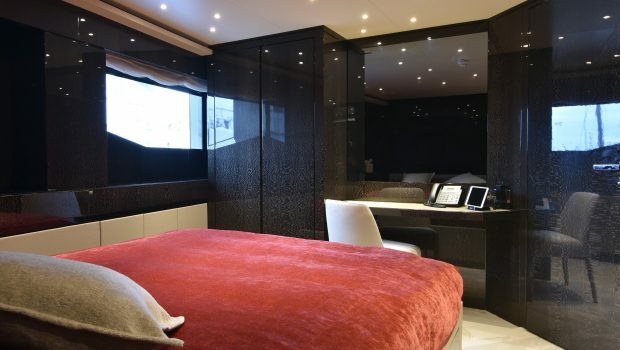 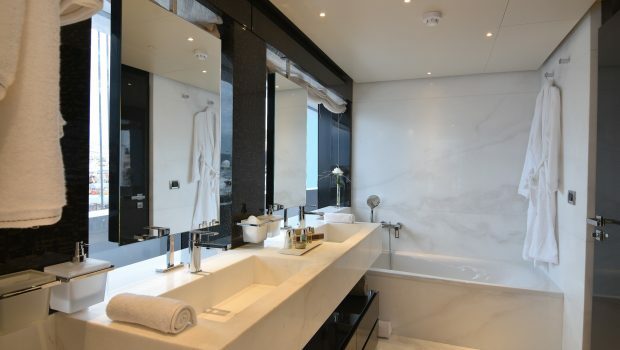 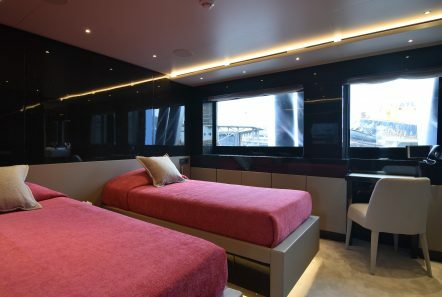 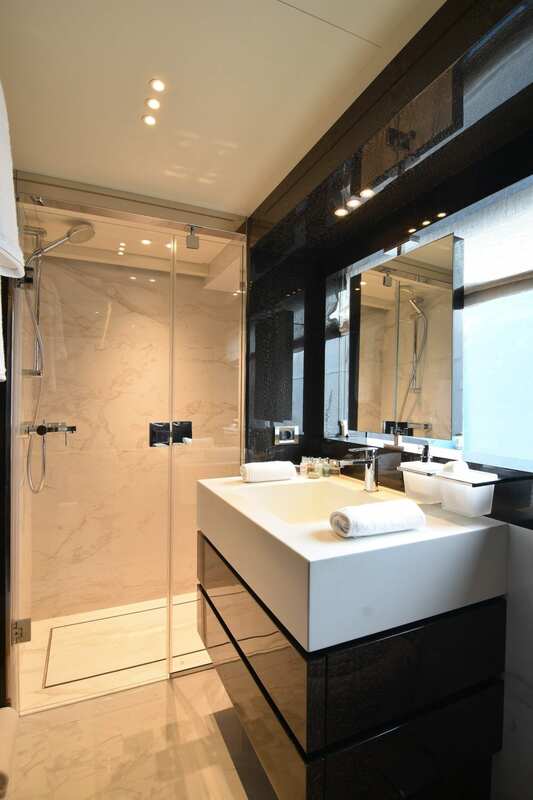 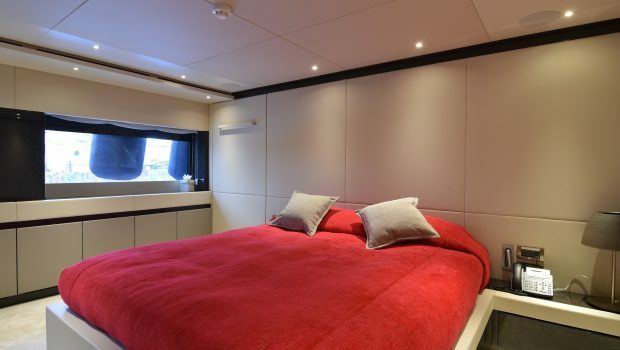 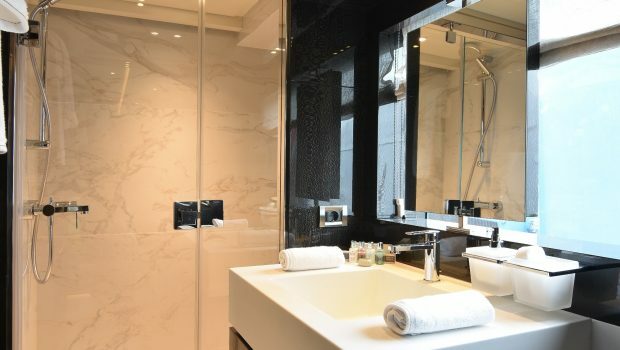 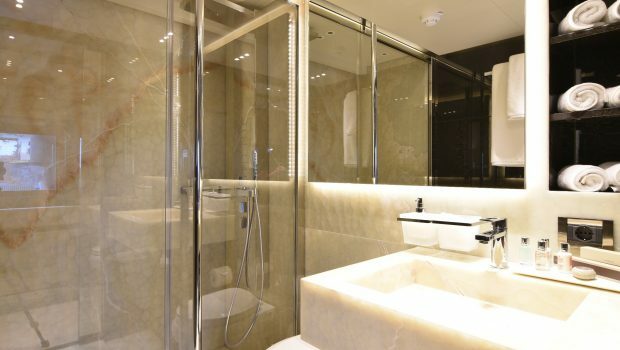 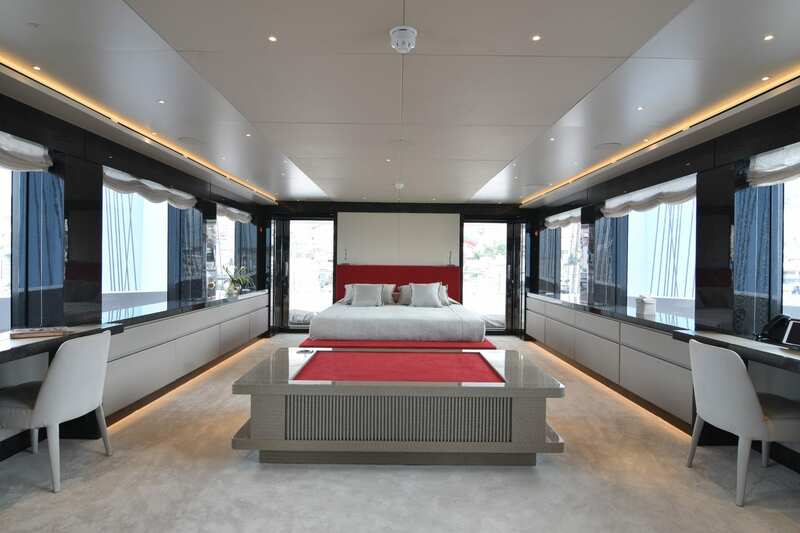 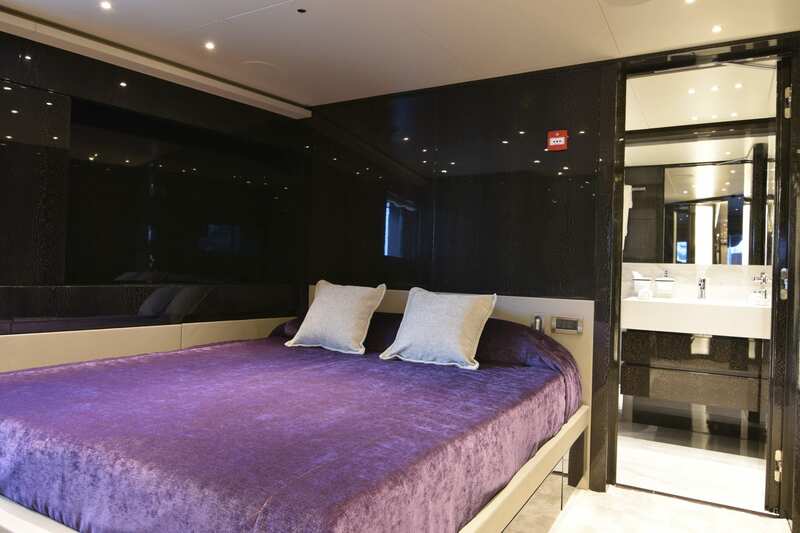 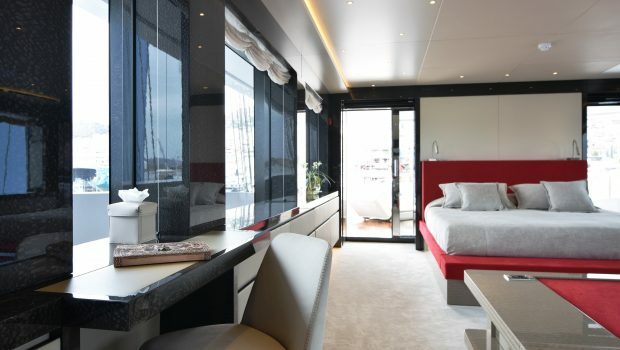 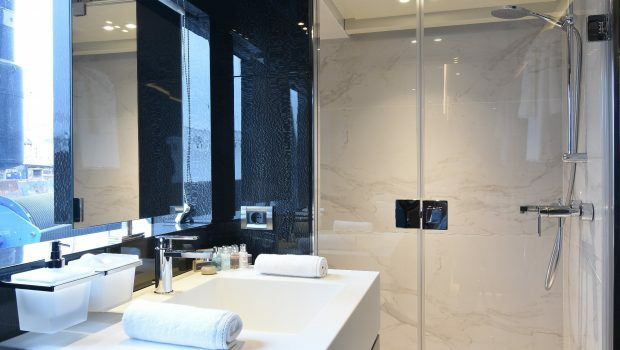 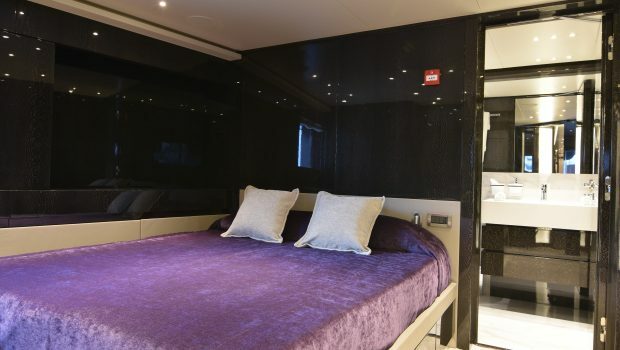 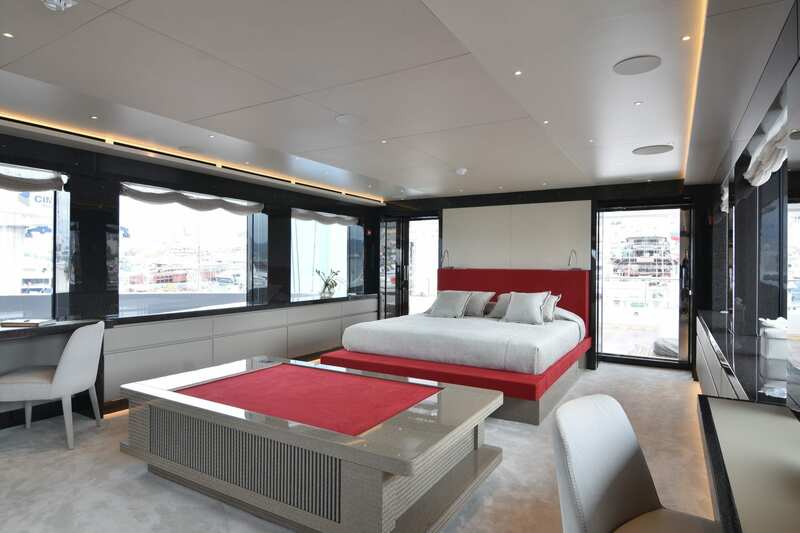 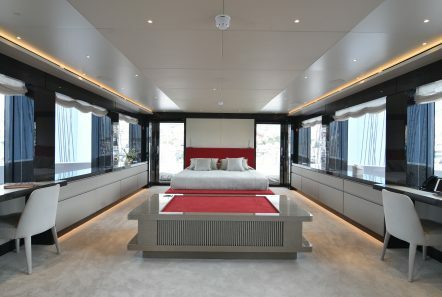 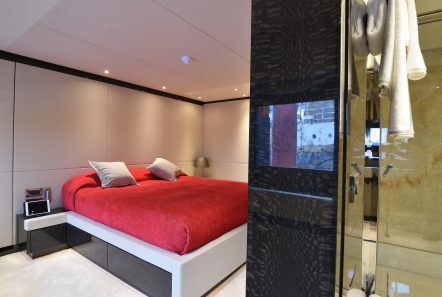 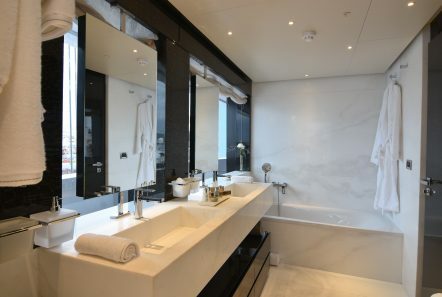 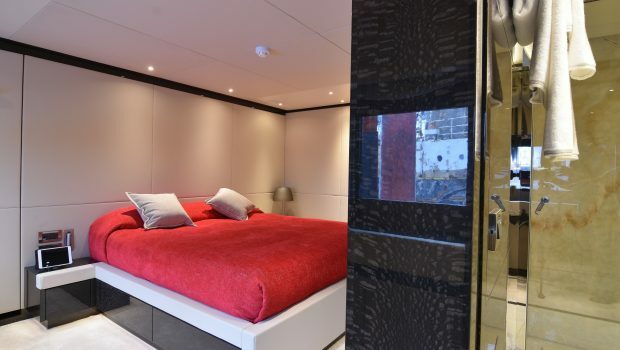 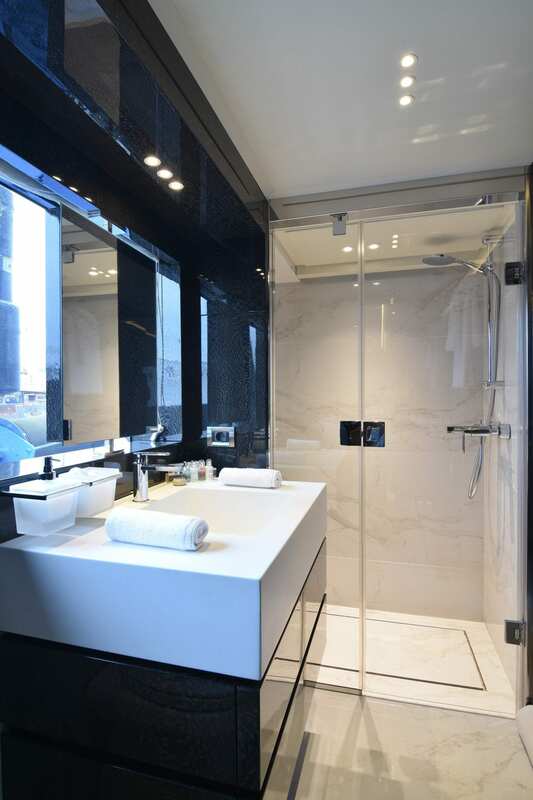 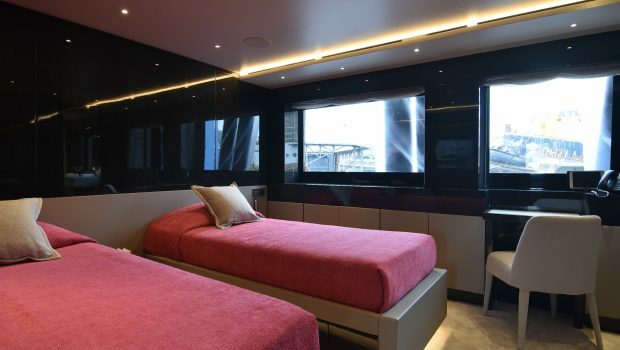 The Master suite is also located her and is the full width of the yacht offering Panoramic views. The other cabins are located in the Lower deck. 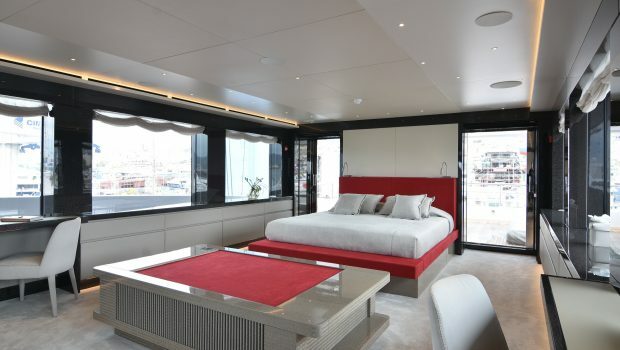 Unique color combinations of red and neutral shades with grey make a modern and relaxed ambiance. 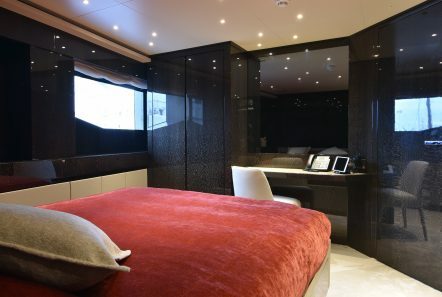 Plasma LCD monitors and Home Theatre Systems, I pad dock in all salons and cabins. 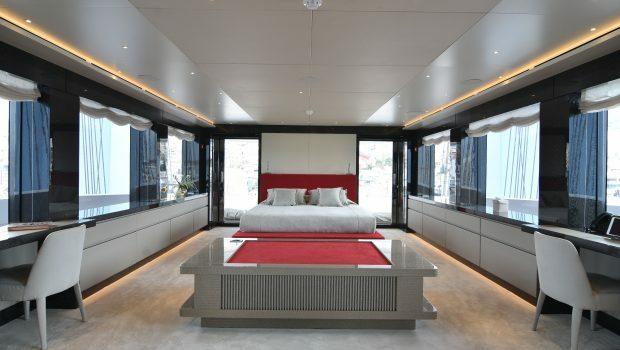 Satellite TV, DVD/CD/Radio Player. CD players on all decks outside. Satelist of connections and AV’s. 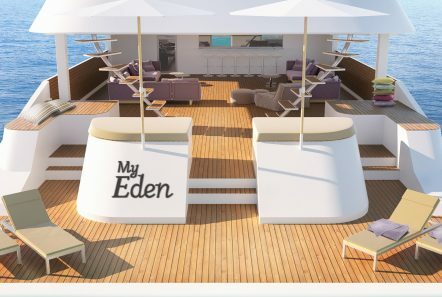 Air play for Apple devices on main salon and sundeck, guests cabins and main deck. 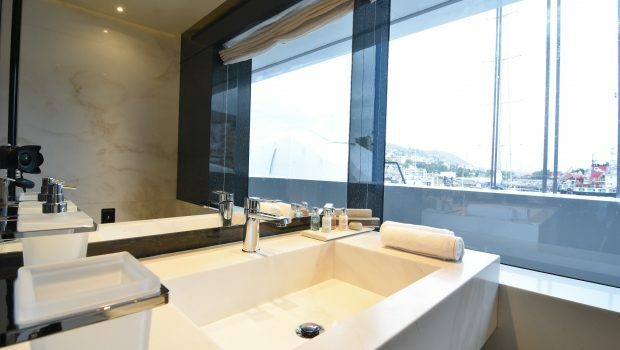 In the other areas there is I Pad station for the audio connection. Movies and TV channels: Dune Player with almost 1000 movies (most of them are 3D) are accesible on each TV. 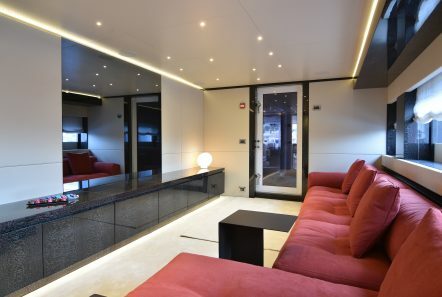 All the TVs are HD (main and onwer’s cabins TVs are also 3D) .Internet radio and local music library. 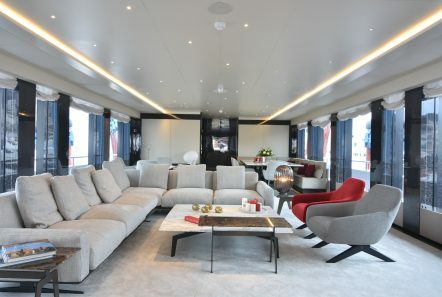 Home cinema in children lounge, owners cabin and VIP cabin also there is projector in main deck outdoor.